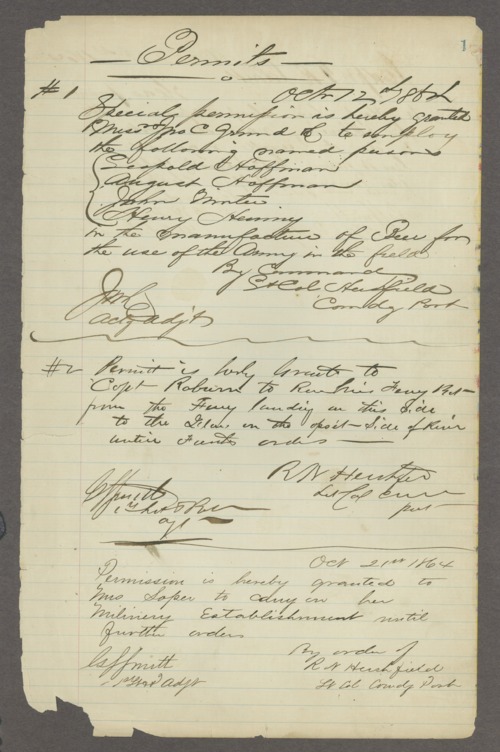 Four permits listed for people to do business, including making beer for the use of the army, operating a ferry, employing named individuals, and continuing a functional military establishment. Collections - Manuscript - Miscellaneous - Misc. : Hea-Her - Hershfield, R.N.